Video: Bloomberg Business: Kate Andersen Brower. Video: CNN: Kate Andersen Brower, Insiders' Stories-White House Correspondents Dinner. Video: NewsmaxTV: The Hard Line Kate Andersen Brower. Video: Richard Nixon Foundation: In the Arena Speakers: Kate Andersen Brower . HarperCollins Speakers Bureau in conjunction with GTN. Kate Andersen Brower has covered the White House for Bloomberg News, and Businessweek. As part of the White House press corps, Brower traveled across the United States and around the globe on Air Force One, accompanying President Obama on dozens of trips including stops in Colombia, Poland, Ireland, France, England and Portugal. She is the bestselling author of The Residence: Inside the Private World of the White House and First Women: The Grace and Power of America’s First Ladies. 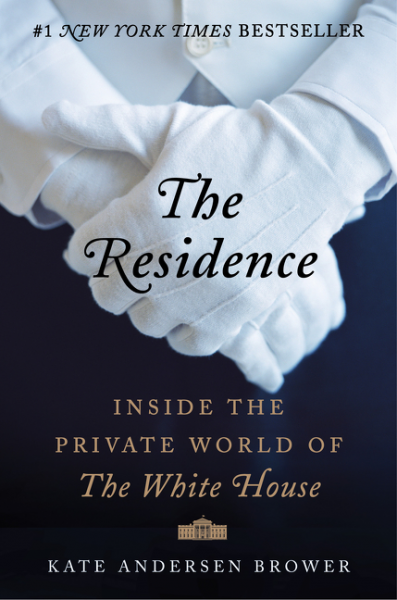 The Residence: Inside the Private World of the White House (Harper) is the insider’s account of the men and women who share the strength of their loyalty to the White House. Behind the walls of the most recognized residence in the world, about ninety maids, butlers, cooks, florists, calligraphers, engineers, and other staff share their lives with each other and the First Family of the United States. They maintain the six-floor residence’s 132 rooms, 35 bathrooms, 28 fireplaces, three elevators, and eight staircases, and they cook in the kitchen that can prepare hors d’oeuvres for thousands of guests. They gather in the lower level’s basement kitchen to trade gossip, forge lifelong friendships, and sometimes even fall in love. The Residence tells their stories. 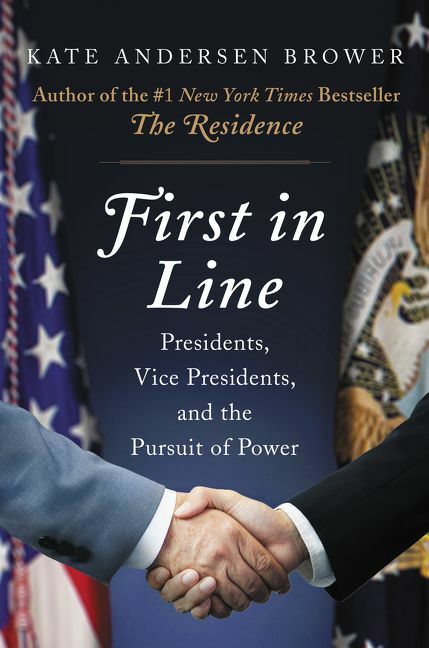 Beginning with the Kennedys, who in the dawn of the television age first made the presidential residence a modern public attraction, Brower compiles an oral history that has never been comprehensively recorded, speaking to dozens of former White House staff members. The book offers charming anecdotes of closeness between the First Family and their staff as well as surprising tension, some even producing lawsuits, that has plagued the staff over the decades. 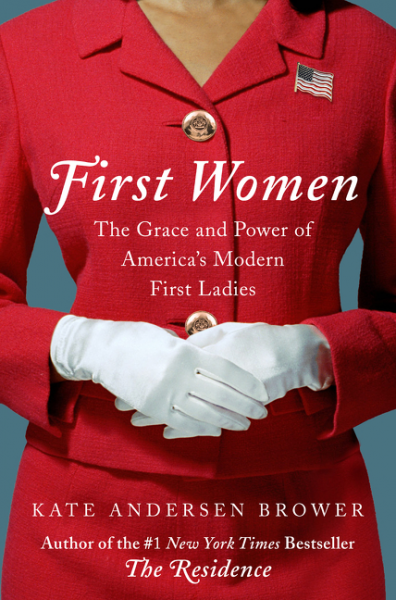 Now Brower returns to tell the stories of the true power brokers at 1600 Pennsylvania Avenue in her forthcoming book: First Women: The Grace and Power of America's First Ladies (Harper). Being first lady of the United States is one of the most underestimated-and challenging-jobs in the world. Beyond supporting the president, the first lady must be an inspiring public figure with a positive agenda of her own; a savvy politician, skilled at navigating the treacherous rapids of Washington; a wife and mother operating under constant scrutiny from the public and the press alike; a strong manager, responsible for the smooth operation of countless services and special events at the White House; and an able CEO for her staff and employees. Brower shares the story of the ten remarkable women who have defined that role since Jacqueline Kennedy in 1960. Drawing on many of the same candid sources who appear in The Residence-along with many new voices, from friends and social secretaries to political advisers-Brower offers new insights into figures as diverse as Betty Ford, Rosalynn Carter, and Nancy Reagan. The stories she tells are sometimes heartwarming, other times shocking and tragic: from their political crusades to their rivalries with Washington figures; from their friendships with other first ladies to their public and private relationships with their husbands. Brower is a graduate of Barnard College and earned a Master’s Degree from Oxford University. 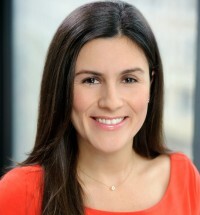 Prior to covering the White House for Bloomberg News, Brower worked at CBS News in New York and Fox News in Washington, D.C. She has written for the Washington Post, Bloomberg Businessweek, and the Washingtonian, and appeared on NBC’s Today Show, ABC’s This Week with George Stephanopoulos, Fox News’ Hannity, The Kelly File and Fox & Friends, MSNBC’s Hardball with Chris Matthews and Morning Joe. Brower is a frequent guest on CNN. Brower was assigned to cover First Lady Michelle Obama and Vice President Joe Biden. She was one of three reporters who traveled with the vice president to Mongolia, China, and Japan. Currently Brower resides near Washington, D.C. with her husband and their two young children. "Through Kate's stories, she was able to give us a glimpse into the life of these special people and their families who serve our country. She is a warm and engaging person. Our woman's group thoroughly enjoyed her program and look forward to reading her new book that will be released in April." "Our audience loved you. I've received nothing but positive praise from Friends of the Library Board and Lecture attendees. Your writing style is much appreciated... your subject matter could have turned into a political hack job but it captures the sensitivity of the "downstairs" White House staff and their loyalty to the first couple . You certainly charmed our audience that has heard lots of authors."